China has now risen to become the world’s second largest source of outward foreign direct investment (FDI). Further, its investment outflow has already exceeded foreign capital inflow, making it a net capital exporter. This rapid growth in outbound direct investment could be attributed to the country’s current drive to implement the Belt and Road Initiative. This encourages increasing numbers of enterprises to engage in trade and investment activities with countries along the Belt and Road routes. Right at the forefront of China’s trade and economic co-operation relations with foreign countries is the South China region comprising Guangdong, Guangxi and several other provinces. This region also adjoins several ASEAN countries that lie along the Belt and Road routes. 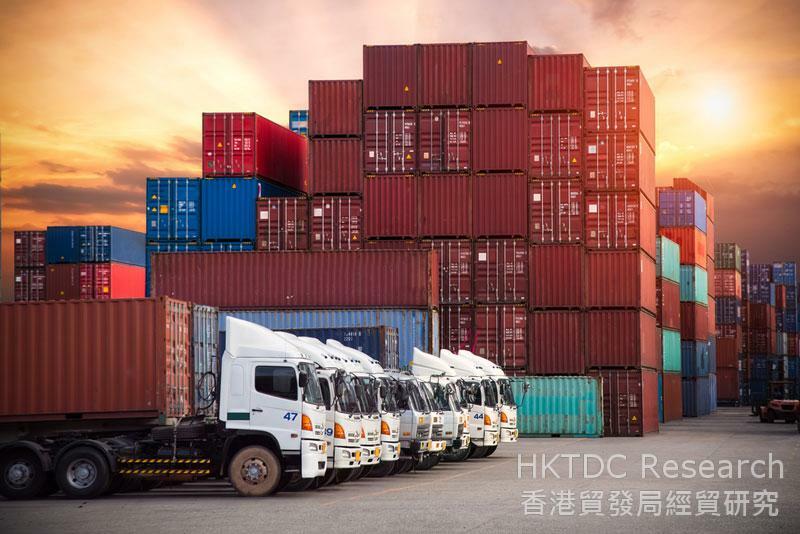 In mid-2016, HKTDC Research conducted a questionnaire survey in the South China region to gauge the enthusiasm of mainland enterprises for 'going out' to explore Belt and Road opportunities and to assess their need for professional services. 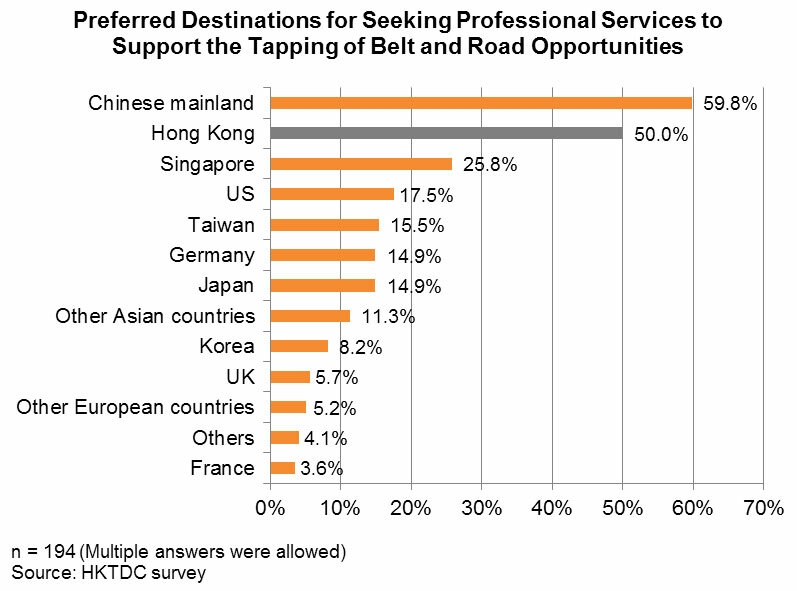 The survey results indicate that, for many mainland enterprises (50%), Hong Kong is the preferred location for seeking professional services outside of the mainland in making use of Belt and Road business opportunities. Most of the enterprises surveyed said they would like to sell more products to Belt and Road markets (88%). Some expressed an interest in going to Belt and Road countries to set up manufacturing facilities (36%) or to source various types of consumer goods / foodstuff or raw materials (35%). In addition, the majority of respondents (83%) expressed a desire to explore related business opportunities in Southeast Asia, including ASEAN countries. 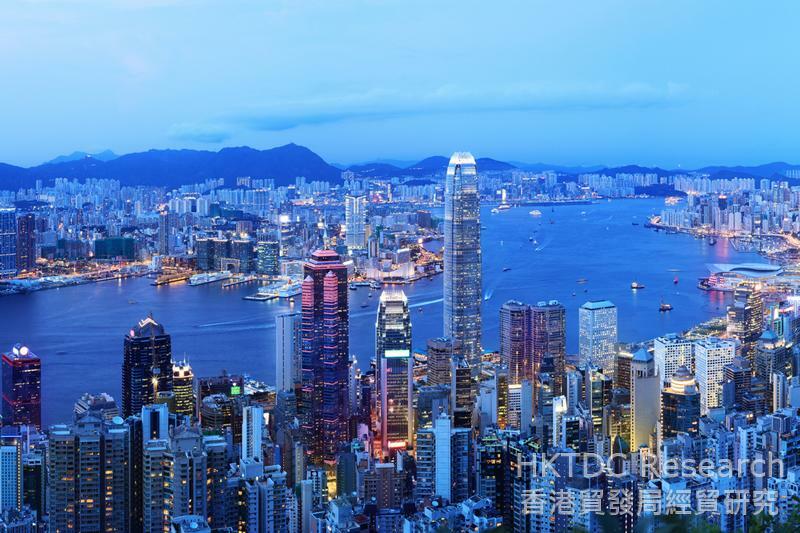 Hong Kong is not only the preferred platform for mainland enterprises in 'going out' to invest overseas, but it is also the main site for them to seek professional services to support their efforts in capturing these new trade opportunities. As China continues to promote the Belt and Road initiative, it is expected that mainland enterprises’ demand for related services will increase further. 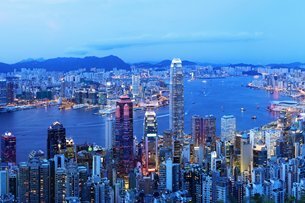 This will therefore attract a continuous stream of business opportunities to Hong Kong’s services suppliers. 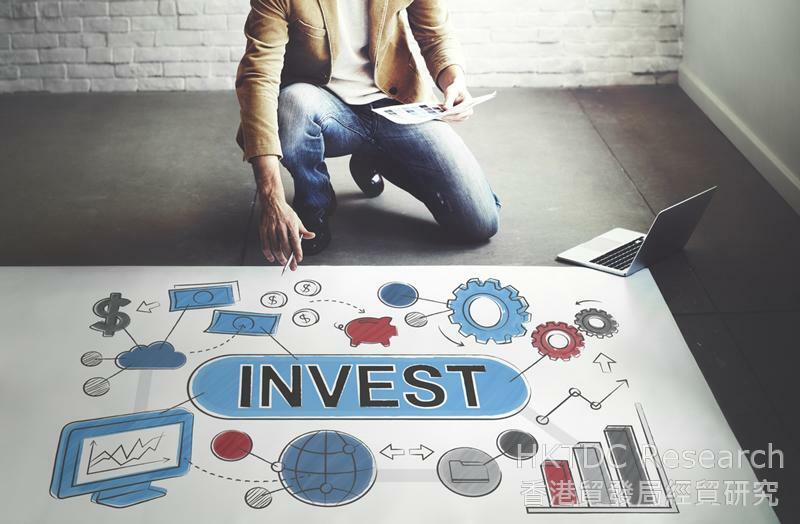 [For more information on China’s outbound investment and on Hong Kong as the preferred platform for mainland enterprises in 'going out' to invest overseas, please see: China Takes Global Number Two Outward FDI Slot: Hong Kong Remains the Preferred Service Platform]. China’s ouflows of foreign direct investment have grown rapidly. Hong Kong is the preferred platform for mainland enterprises to explore Belt and Road opportunities. 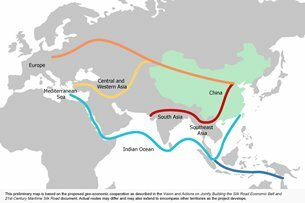 Figures released by the Ministry of Commerce in September 2016 reveal that China’s direct investment in Belt and Road related countries has been growing rapidly over recent years. It reached a total of US$18.9 billion in 2015, equivalent to a year-on-year growth of 38.6%. That was double the rate of growth of China’s total FDI (18.3%) during the same period. To put this into perspective, China’s investments in Belt and Road related countries were worth around US$400 million in 2004. However, during 2004-2015 China's direct investments in these countries rose by more than 45 times, averaging a growth of approximately 43% annually. Over the same period, the share of these investments in China’s total FDI also climbed from 7% in 2004 to 13% in 2015. At present, China is advancing its Belt and Road development strategy vigorously, encouraging its enterprises to carry out trade and investment activities in related countries and regions. As such, the initiative has become an important factor in driving the 'going out' of Chinese enterprises to invest overseas. China’s direct investment in Belt and Road countries has increased at a fast pace. The Belt and Road Initiative has become an important factor in driving the Chinese enterprises to invest overseas. Hong Kong has consistently remained the preferred services platform for the 'going out' of mainland enterprises. It can therefore be expected that the development of the Belt and Road initiative will further spur on demand for various Hong Kong support services from mainland enterprises. HKTDC Research held a questionnaire survey on related Guangdong enterprises in the second and third quarters of 2016. This was conducted with the assistance of the Department of Commerce of Guangdong Province, the Bureau of Commerce of Dongguan City, the World Dongguan Entrepreneurs Federation, the Bureau of Commerce of Huizhou City, the Huizhou Association of Enterprises with Foreign Investment and the Bureau of Commerce of Jiangmen City. The same questionnaire survey was carried out on mainland enterprises on site attending the 13th China-ASEAN Expo, held in Nanning, Guangxi in September 2016. A total of 296 completed questionnaires were collected across the Guangdong and Guangxi surveys. Of these, 241 of the respondents were mainland enterprises, comprising traders, manufacturers and services suppliers. More than 80% of these enterprises were based in Guangdong and Guangxi. The rest were mainly industry representatives from coastal regions. What follows is a summary of the views expressed by these 241 enterprises about 'going out' to develop Belt and Road opportunities. More than 90% of the respondents said that their business operations had faced a variety of challenges over the past year. A number of them said that their foremost concern was rising labour, land and/or other production costs (42%). Others were affected by the weak mainland market and inadequate orders (39%), weak overseas markets and inadequate orders (27%), or difficulties in financing (22%). In a period of fierce market competition when challenges were many and varied, more than 90% of the enterprises polled said that they had already begun adjusting their business and operating strategies and made relevant investments, or else that they would consider doing so over the next 1-3 years. A total of 46% of the respondents said that they would like to further develop the domestic market. 52% said that they would intensify efforts in developing overseas markets. Of these, 38% and 31% respectively said that they would focus on developing emerging markets and mature markets overseas. 37% of respondents declared that they would strengthen their product design and technological R&D capability, while 33% said they would develop or strengthen their own-brand business. As China continues to promote the Belt and Road development strategy, 80% of the enterprises suggested they would consider tapping business opportunities in Belt and Road countries within the next 1-3 years. Conversely, 17% of the enterprises questioned said they wouldn't consider such a development. Among those enterprises that would consider tapping Belt and Road opportunities, most said they wanted to sell more industrial products (62%) and / or light industrial products (51%) to these markets. Together, these enterprises accounted for 88% of the enterprises surveyed. Fewer respondents said they would consider investing and setting up factories in Belt and Road countries (36%). Fewer still are considering going there to source various consumer goods / foodstuffs for sale in the mainland or raw materials for use in production in the mainland (35%). Just 22% of the enterprises indicated that they intend to establish transit warehouses in Belt and Road countries as a means of boosting international logistics efficiency. 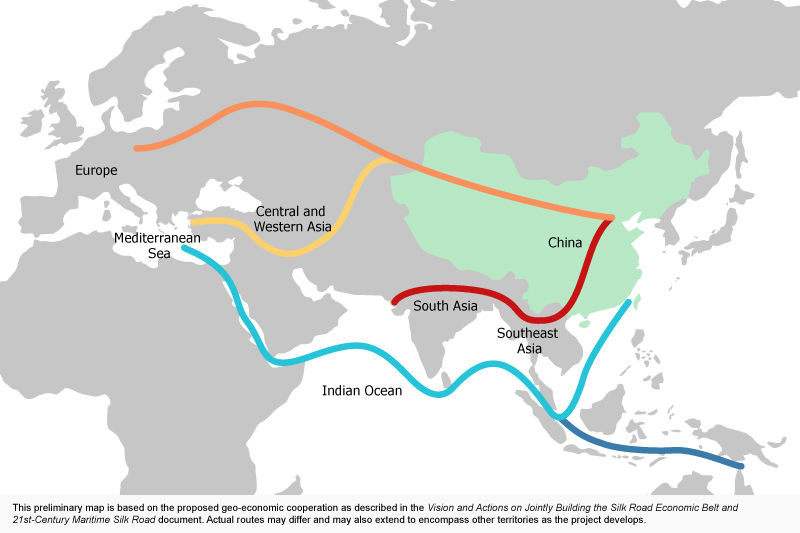 Among enterprises that would consider tapping Belt and Road opportunities, a great majority (83%) would focus on Southeast Asian countries, including those in the ASEAN. By way of comparison, far fewer enterprises selected regions such as South Asia (27%), Central and Eastern Europe (24%), the Middle East and Africa (23%), and Central and West Asia (20%). 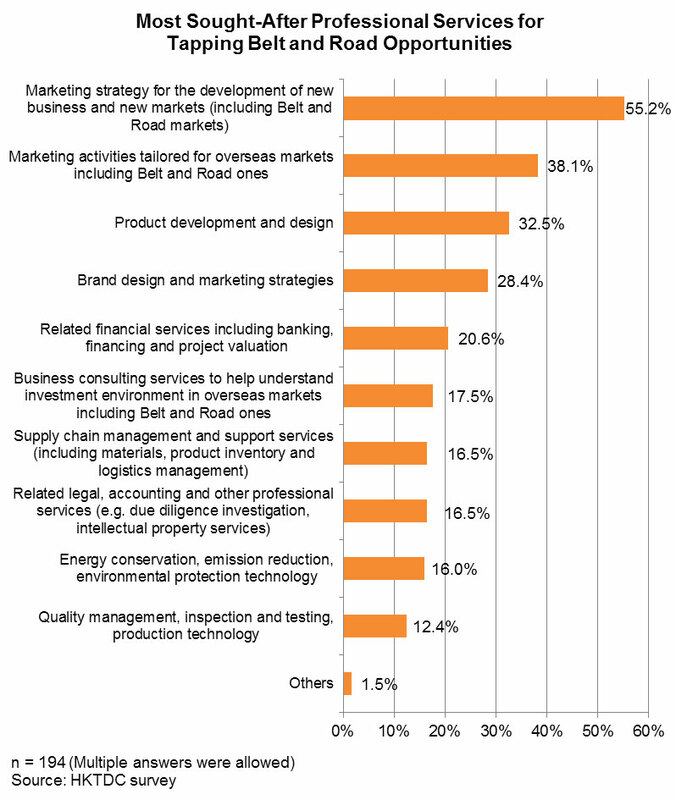 Of those enterprises looking to tap into Belt and Road opportunities, 55% said they would require services in sales and marketing strategies to help them develop new businesses and new markets. 38% said they would like to become involved in marketing activities tailored for Belt and Road and other overseas markets. 32% of the enterprises replied that they would like to seek services in product development and design. Another 28% aim to engage services in brand design and marketing strategies to help them reach out to these new markets. In order to locate these aforementioned professional services, 60% of respondents looking to tap Belt and Road trade opportunities said they would first source these support services locally. However, a significant number said they would seek various professional services outside of the mainland. Hong Kong was the most preferred destination for most enterprises, accounting for half (50%) of all respondents who would like to tap into the Belt and Road markets. Other destinations highlighted as of interest here included Singapore (26%), the US (18%), Taiwan (16%) and Germany (15%). HKTDC Research would like to acknowledge the help extended by the Department of Commerce of Guangdong Province, the Bureau of Commerce of Dongguan City, the World Dongguan Entrepreneurs Federation, the Bureau of Commerce of Huizhou City, the Huizhou Association of Enterprises with Foreign Investment and the Bureau of Commerce of Jiangmen City in conducting the surveys and company visits. 2015 figures. Source: Statistical Bulletin of China’s Outward Foreign Direct Investment 2015. For more on Hong Kong’s status as a preferred services platform for the “going out” of mainland enterprises, please see: Guangdong: Hong Kong Service Opportunities Amid China’s “Going Out” Strategy, Jiangsu/YRD: Hong Kong Service Opportunities Amid China's "Going Out" Initiative, China’s “Going Out” Initiatives: Professional Services Demand in Bohai and China’s “Going Out” Initiative: Service Demand of Western China to Tap Belt and Road Opportunities.